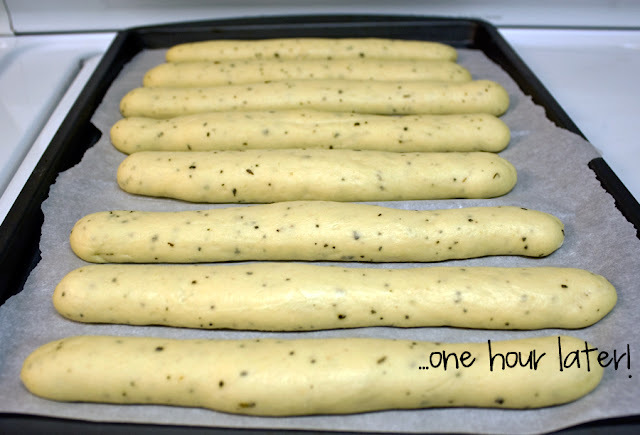 I made Garlic Breadsticks a couple nights ago to go along with our carry-out pizza and I was beyond impressed with how well these turn out. They were so soft and delicious with just the right amount of garlic flavor. They taste just like the ones you get from the restaurants! In a small bowl, combine water, sugar and yeast. Stir and and leave for 10 minutes to dissolve. 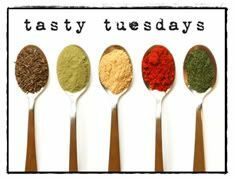 In a separate large bowl, combine oil, grated cheese, garlic powder, salt and basil. Add the yeast mixture. Add flour one cup at a time. 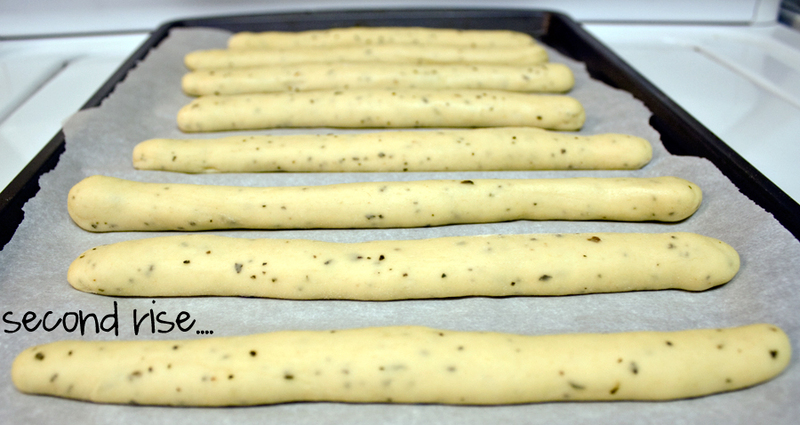 If the dough seems too dry, add 1-2 tablespoons of water. Transfer the dough to a lightly floured surface and knead until smooth and elastic. Return the dough to the bowl, cover, and leave to rise in a warm place until doubled in volume, about 1-2 hours. When the dough has doubled in size, punch down the dough with your first. Turn onto a lightly floured surface and knead for a few minutes. Divide into 16-20 portions and shape each into a ball. Roll each ball into a 9 inch rope and place on baking sheets lined with parchment paper. Cover and let rise in a warm place until doubled in volume, about 30 minutes to an hour. Bake at a pre-heated oven at 350 degrees for 12-14 minutes or until golden brown. 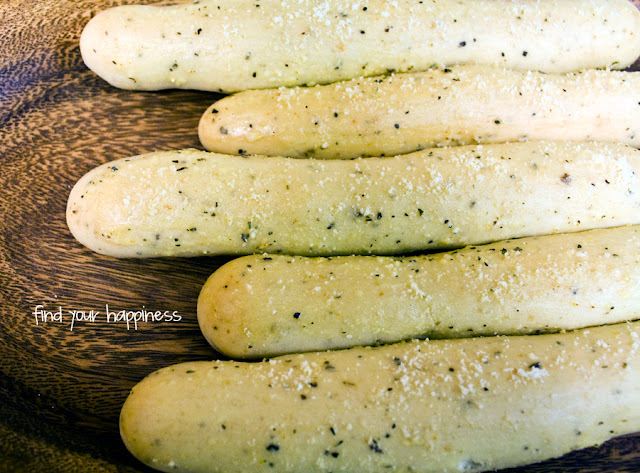 Brush warm breadsticks with butter and sprinkle with grated Parmesan cheese. You are awesome. I want to be more like you. I'm kind of a lazy mom (lazy mom is one of my new favorite blogs, lol). Take a peek at my giveaways when you come by. I have 7 going on now and everything is handmade and GORGEOUS:) Happy Holidays!! I found your blog from Home Grown Families. I love it! I love your latest pictures--I have a little boy too. (He turned two in August.) Oh, and I love garlic bread sticks...Yum! Nice to meet you. Your breadsticks look very delicious. The quality of your photos is excellent. What type of camera do you use, if you don't mine me asking?